This Artificial Intelligence Writes Clickbait Headlines - #9 Will Doom Us All! Programmer Lars Eidnes has programmed a recurrent neural network that can generate "formulaic and unoriginal" content, modelled after websites which rely on "clickbait." This puny human proved its worth to its robot overlord. You'll never believe how! 13 Signs Your Pitiful Organic Body is Less Efficient Than Your Mechanical Superiors' - #11 =TRUE! These, sadly, are not headlines generated by the recurrent neural network one Lars Eidnes has put together, though his results are amusing in their own way. Lars sees that modern newswriting has become largely formulaic, so much so that a simple (or not so simple, really) computer program could do the job, freeing up writers for useful work. No offense taken, Mr. Eidnes! You can see his strange, beautiful, hilarious results at Click-o-Tron, "possibly the first website in the world where all articles are written in their entirety by a Recurrent Neural Network." Visitors to the website can choose to vote articles up or down, depending on their own criteria - which is most humanly-sounding, which is funniest, which is the least grammatically offensive, and so on. Fans of Magic: The Gathering have already had plenty of fun with neural-network-generated cards. Each element of one of his AI-produced articles builds off the previous one. First, the headline: the neural network trawls the databases of several websites, such as Buzzfeed, Upworthy, Gawker, and so on. It then slices and dices the headlines until it has something vaguely grammatical. From there, an article is generated in a similar fashion, but seeded with words from the headline in order to maintain the appearance of thematic consistency. Each image header comes from searching Wikipedia with the headline's words. It all comes together to form an uncanny version of a familiar style of article, replete with no new content or information whatsoever. It's a little bit beautiful. So, it's a news title generator, then? Well sadly, that's not an AI. 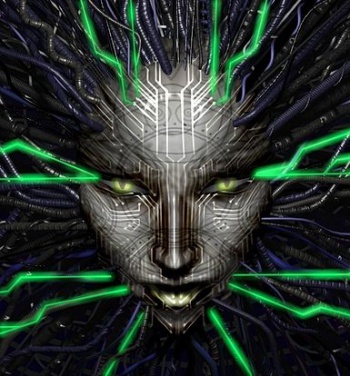 Althought Shodan DID start out as a regular computer that the hacker screwed up so badly that the programming started to think on its own, this is (fortunately) not like that. Is it weird that I still think of AI as self aware free thinkers? Am I being a techno-racist for thinking that this program isn't a true AI? So they finally found the secret hand behind Buzfeed and Gawker then? Let's just hope that this neural network doesn't start infecting websites and converting them into clickbait generators with which to spread its subliminal propoganda (ALL HAIL THE MACHINES). You ask this right after I more blatently denounced it? I feel as though AI is and should always be defined by the words literally. To wit, it is an actual intelligence which was artificially created. If it is not self-aware, then doesn't that put it alongside the animals whom we have yet to discover intellect within? Hell, it just functions. Doesn't that mean that in terms of nature, it only has instincts? That it's no wiser than a daisy? This explains the downward spiral of New Scientist headlines then. 5 signs that clickbait machines herald the apocalypse. You won't believe number 4! is this some tie-in with south park? Number 4 and 5 are behind a paywall. Please subscribe to read further. 2 and 3 require membership sign-up, free of course. We only need all your details and to complete this customer service questionnaire. This is all only for you, not us. Captcha: bait the line. Oh dear...Ol' cappy has been taken already! Kinda? See, AI has this interesting history of constant redifinition of what it means for something to be 'proper' AI. Once upon a time computers couldn't play chess, so that was considered 'amazing AI', until computers started being able to do it, at which point it no longer counted. So... I predict we will never have 'true' AI, because we'll always find a reason why it doesn't count. OT: Well, it could hardly make the quality standards of internet articles any worse. Are the available revenue streams for websites these days really so terrible that any and all quality standards get thrown out the window in favour of tweaking the articles strictly based on extracting the greatest amount of advertising revenue out of every single one with the least amount of work possible? "Top 10 reasons why you should watch the top 10 top 10 lists. Number 4, 6, 7 will blow your mind." Wow... so an Ai that could replace all the writers at buzzfeed and gawker, What a world we live in. if anything, this makes me want to play System Shock 2, and I already started on a new playthrough yesterday. That's nothing. There was an 'AI' which was designed to create video games. It made a game where robots fight humans. (Non-AI) NEWSFLASH: Not everyone reads every response to every article, you egocentric so-and-so. Wow, did you just blatently flame for no reason? Besides, I'm the FIRST reply. Most people would see it, even with the usual skimming behavior. So, that's just wrong on both ends. somewhere in the bowels of earth Gawker and Buzzfeed employees groan in unison as they have just been made redundant. Didn't we do this with Bayesian networks a decade ago? Then again poorly replicating what other approaches already did is most ANN research. That site made my day, right there. And despite not really knowing how to play MAGIC, those fake AI-created cards were hilarious, too! Come to think of it, if there's a website that NEEDS an AI to write their article headlines, it's Cracked. Those guys change titles a lot; it's kind of a running joke over there.